What would your club do if a major revenue stream dried up, or if schools drastically cut your extracurricular funding? We see governments do this all the time: shutdown, sequestration, and austerity plans. Nonprofits and charities have had to face serious austerity budgets as well. After the economy collapsed in 2008, many charities had to decide which programs, staff, and other sectors to cut. Many weren’t prepared. Booster clubs are very different than most charities. There’s usually no staff at a booster club. So you can’t cut salaries, or initiate layoffs. In fact, you might have to do the opposite: if your school is cutting coaching or directing staff, that’s where you might be directing funds. But what do you defund? Here are the most aggressive arguments for defunding each one. Travel might be the first thing to cut from a program budget. Yes, activity groups might need travel funds to compete. But they usually don’t need travel to function. In a worst-case funding scenario, volunteers can drive, or teams can compete in their home town or even convert into a league. It’s sad to have to forgo a regional or state championship, but it won’t end a team. Getting by with poor equipment is possible for any club for a couple of years. At some point, more well-off participants will purchase their own equipment. That might create some division inside the club, but it will save the booster club money. What’s the limit? I think safety equipment might be something you don’t cut corners on. But that limit is ultimately up to you. Booster clubs buy nets for ball sports, lawnmowers for fields, and giant scoring displays for every type of sport. Indoor activities like band will have their own challenges. Many of these investments can be put off, and many alternatives can be jerry-rigged. In America we often forget that nets can be repaired instead of replaced. Scoreboards don’t have to be lit up in giant LED displays. Sidelines do not have to be painted with mechanical precision and manufactured paint. Sometimes a bag of flour and a clean oil funnel will do the trick. The real bind is if your alternative (say renting a lawnmower) is greater than the cost of the investment (buying one). The worst part about cutting funds is that it might make you spend more money over the long term. Let’s say your school is going to cut a director, or your club already funds it but wants to cut staff out of the budget. This is where I’m supposed to say that you should cut their salaries or let them go. However, I’ve noticed that these directors are often already paid a bare-bones salary. They often form the nucleus of the activity’s community, a dedicated mentor for students, and a useful ally for booster club board members. If anything, ask them to help with fundraising more. Basically, I believe that a dedicated activity leader is probably the last thing to cut from a budget. Unfortunately, booster clubs must often forgo large capital projects in an austerity plan. A conflict might arise when funds for capital projects have already been earmarked. For example, say you had a series of fundraisers for a new building, and before it was spent, your club had a huge loss of funding. Now you’re sitting on a lot of funds, but they’re not really for general use. There are two ways to handle this. If you can contact individual donors, ask them to consider the extenuating circumstance and permit you to change the destination of their donation. If you can’t or they say ‘no,’ go ahead and continue the project. Even if austerity is demanding you divert the funds, deceiving donors is a long-term problem with little short-term benefit. Even more than travel or new equipment, events really underscore the community aspect of an activity. On the one hand, they’re completely non-essential to the activity. On the other hand, they’re crucial for community building. Without award dinners, post-game celebrations, etc., how do you create traditions? How do you connect participants, parents, and other members of the community? 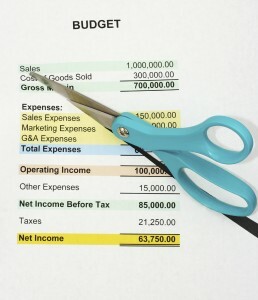 You can still cut costs without canceling events. Parents can host get-togethers. Potlucks can replace catering. Printed certificates can substitute for trophies. Raising revenue requires an investment, so it’s important to think critically about where those investments are directed. Cutting expenditures can help motivate clubs to reexamine how they raise funds in the first place. How can they raise money more effectively? An austerity budget could cut the least effective fundraisers, whose net gains are not that high. New revenue sources can be explored, with an emphasis on those that require little funding, for example, big donors and grants. Instead of focusing just on current stakeholders, try to tap alumni and local business leaders, people who understand your need but haven’t been involved recently. If your club doesn’t have dues, I would be very cautious about switching to a dues system. Not only will you potentially lose some participants who can’t pay, but your volunteers’ morale will drop. The more a parent has to pay for an activity, the less they’ll feel responsible to fundraise. So raising dues doesn’t always result in a dollar-for-dollar increase in net revenue. You have to subtract donations and volunteer time lost because of dues. If your club already has membership dues, it’s understandable if you raise them 10% to 20% in a rough year. Any more than that though, and you might lose participants. Cutting budgets is not only financially and technically challenging, but emotionally contentious as well. That’s why it’s good to make the process objective. Here are two suggestions. First, use the club’s mission as the starting point for setting priorities. Financially successful clubs can find themselves funding many things that are good, but far outside of their stated responsibility. Second, try setting guidelines for an austerity budget before a crisis occurs. That way, you can make tough decisions in advance, when you’re not under the gun. You can combine these suggestions, mission and preemption, by writing an austerity plan directly into your bylaws. 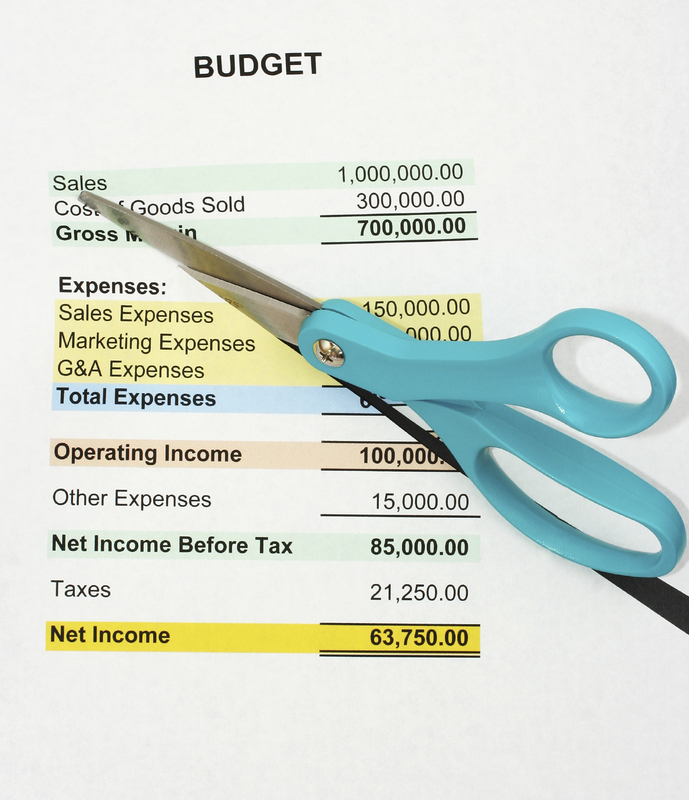 Ever had a tough budget cut decision? Why did you have to do it, and how did it affect your club? Let us know by email or in the comments.